School break is almost over. Wait what? I hear my kids ask that question with somewhat a disbelief tone. Because! 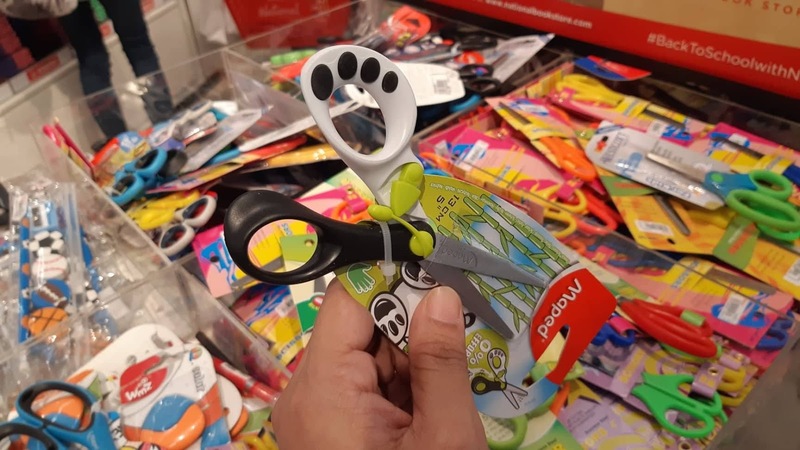 I also can't believe that school season is waiting for us around the curb. Yup, somewhere there! Okay, so let me shake off this shock and start to face reality that back to school means back-to-gastos for most parents sending more than one child to school. I would know, I am sending two now and in a few years, they will be three. But all's good. Alam niyo the Back To School season brings a good nostalgic feeling to me. 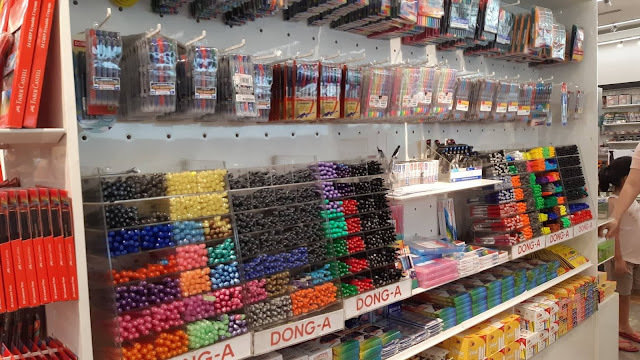 I remember as a child, I love coming back to my school to enroll and then head straight to National Book Store in Cubao to shop for school supplies. 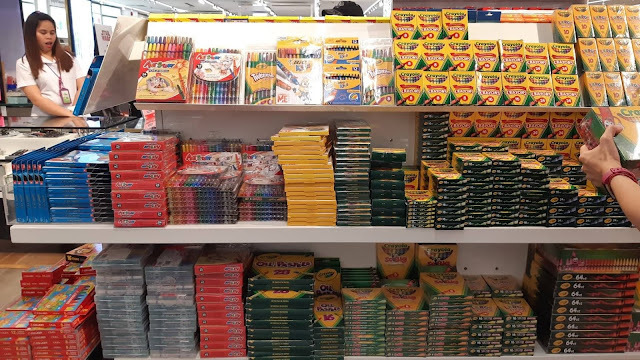 I love the sight and smell of new school stuff. I love running my hand through new pad papers and notebooks, trying out inks of different pens, and choosing the design of my pencil case myself. 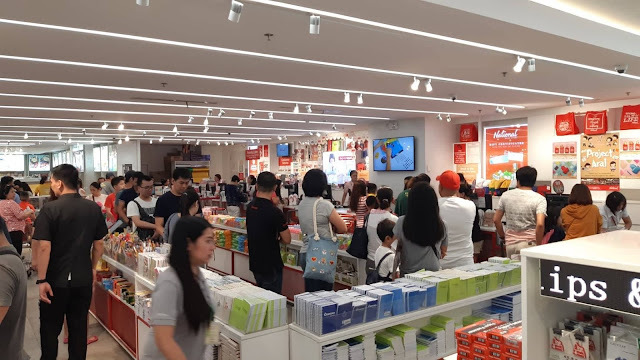 And I am always reminded of that every time I enter any National Book Store. 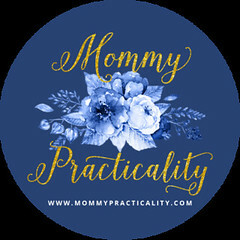 It was a beautiful memory of my mom and I - which I have been passing on to my kids as well. Indeed you could say I am #LakingNational. 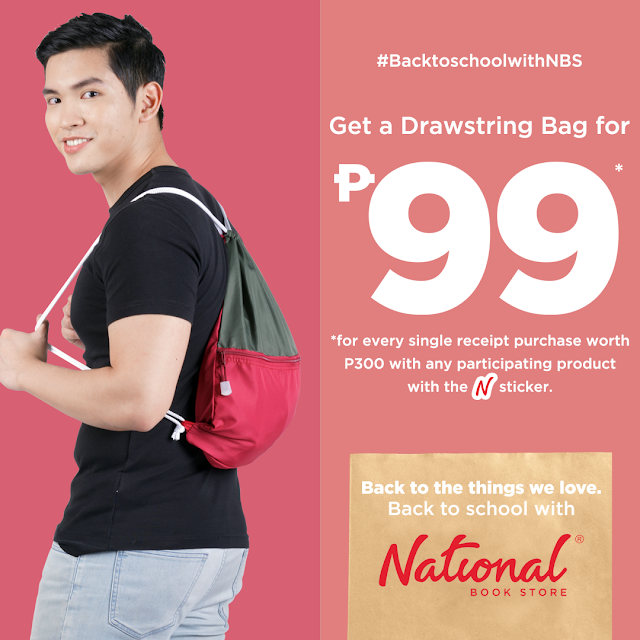 Everything you need for school is at National Book Store. 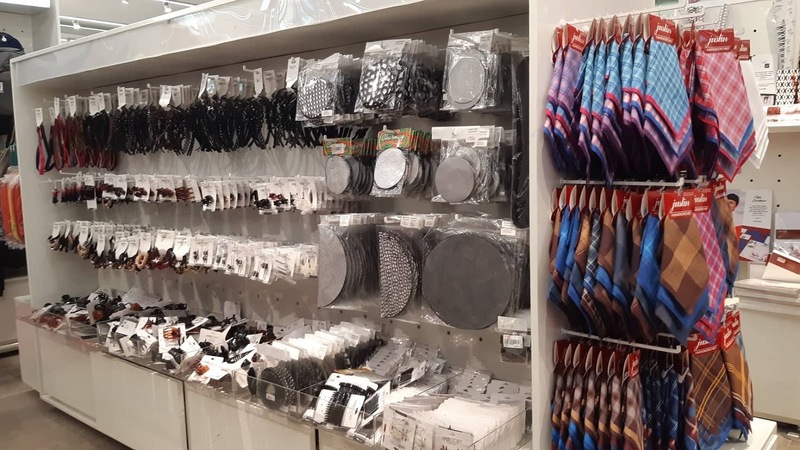 You could find anything and everything here. 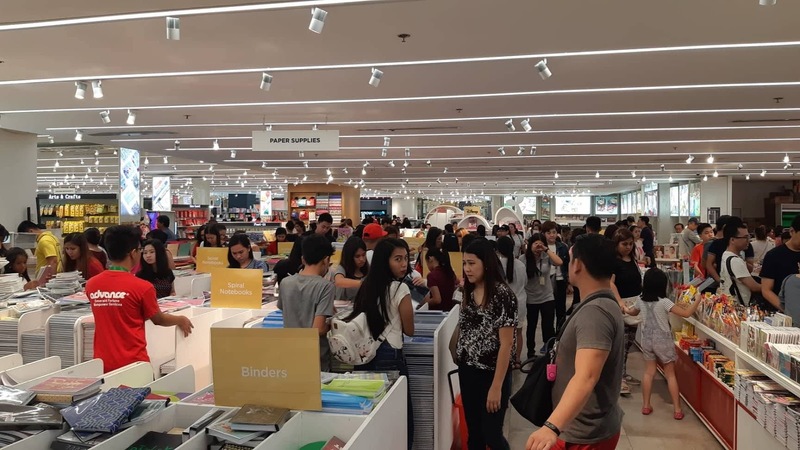 From writing materials, arts and crafts, books, accessories, and now so much more new things for school is under the roof of National Book Store. Admit it, who wouldn't trust National Book Store for having everything? They've been with every Filipino family supporting our school and office needs for 75 years! 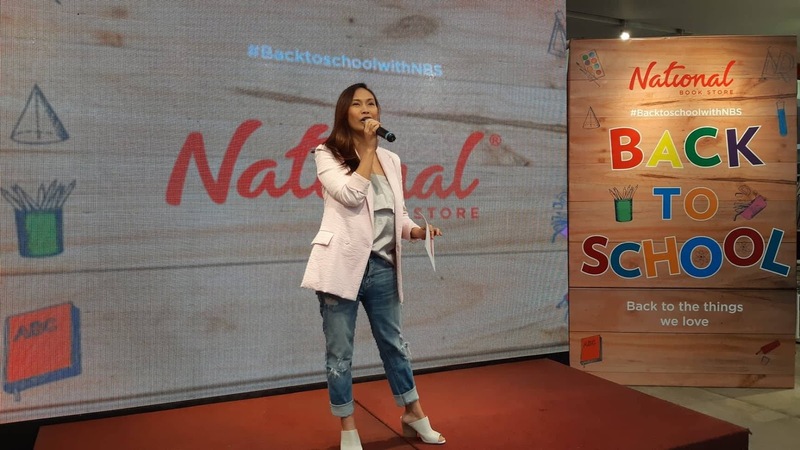 That's why it's also about time that they venture into the education field with the recent launch of their NBS College. 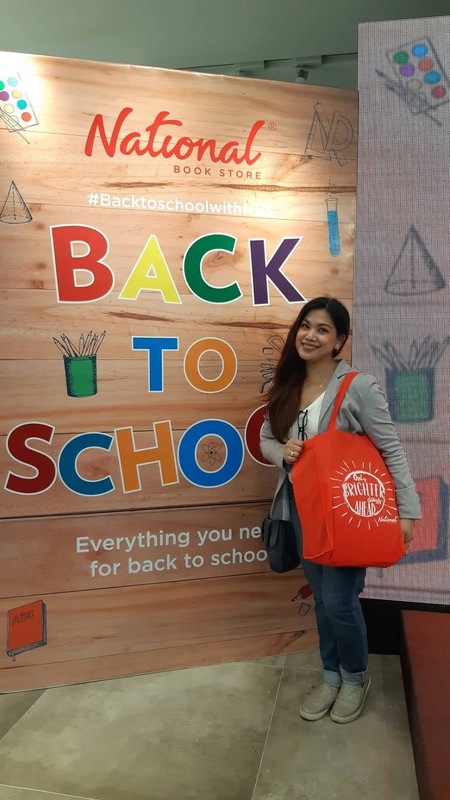 Also, to keep up with the times and needs of busy moms who have not time to go out or brave the traffic, they accept your school supply orders via their website www.nationalbookstore.com or via delivery hotline ‎‎8888-627. 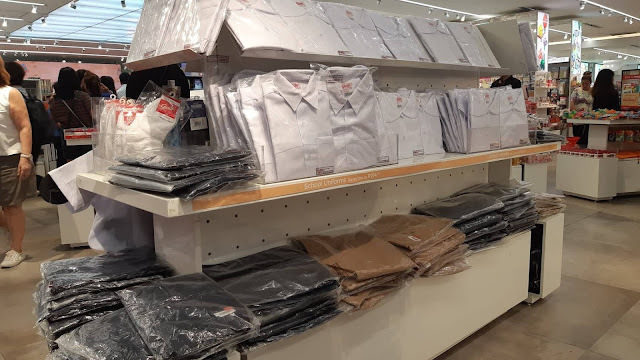 They will deliver right to your door step nationwide. Delivery is FREE for minimum of Php1,000 purchase in Metro Manila and Php2,500 in provinces. 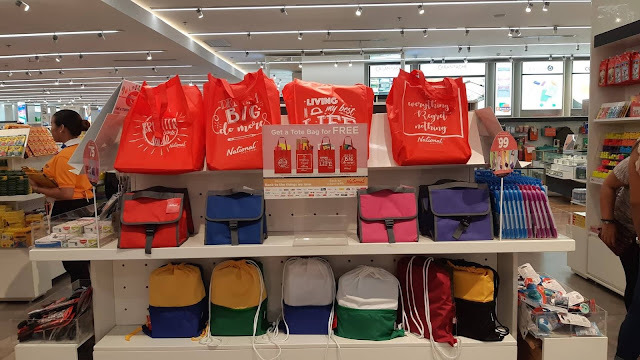 All these were announced during the Back-To-School event hosted by Patty Laurel-Filart. 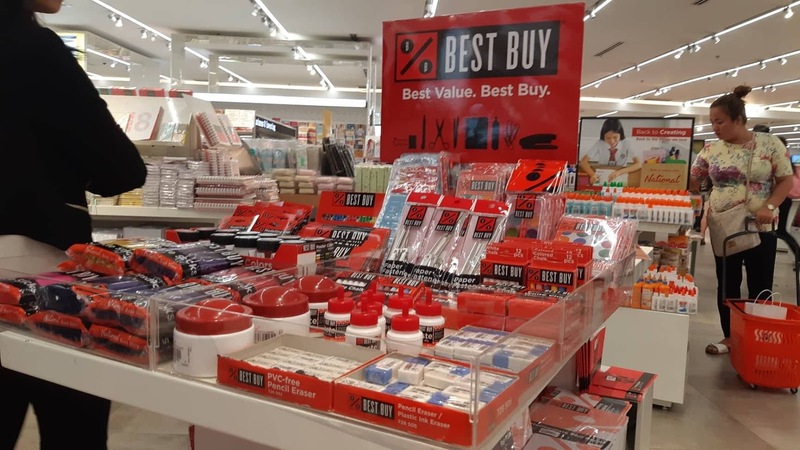 As a practical mom, I highly appreciate their BEST BUY items and bundles which will make you save a few pesos compared to buying other branded items. 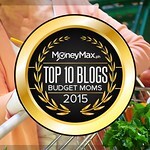 The Best Buy is indeed Best Value for moms especially for those shopping Back-To-School on a budget. 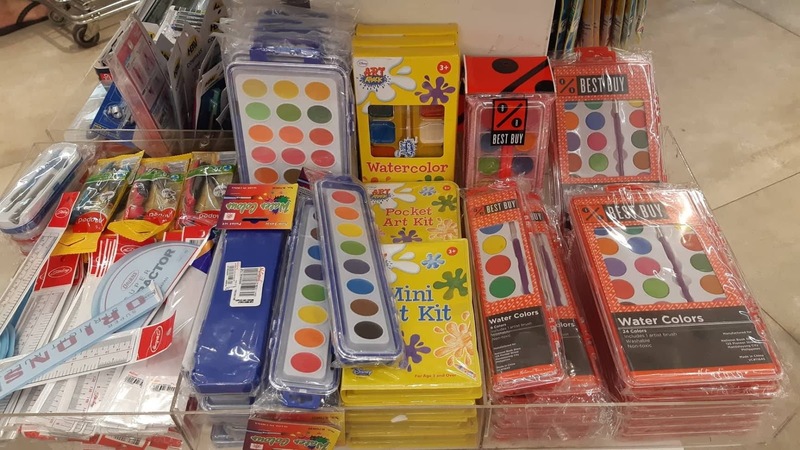 They have everything from folders, pad papers, glue, erasers, ball pens and so much more! This made me really happy. 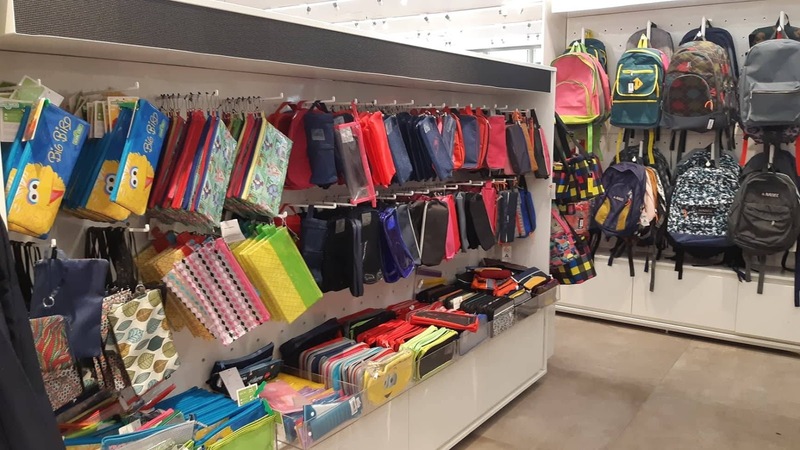 If your're new to back to school shopping, National Book Store will never leave you clueless as to what to purchase for your kids because of their school level online shopping guide. My school kids Wes and Dandre are incoming Grades 2 and Grade 9. Though I already knew what to buy because I came with a checklist of which to buy, the back to school shopping guide online is still a great idea. 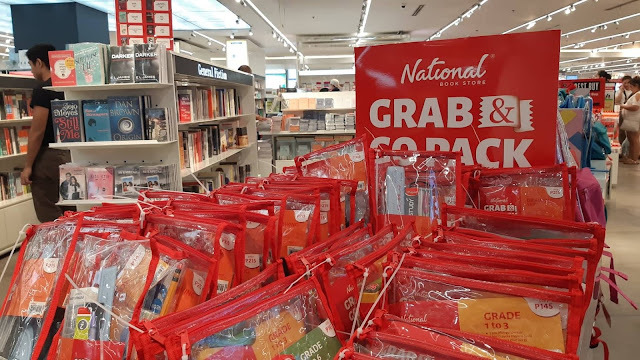 Such convenience for all National Book Store shoppers! 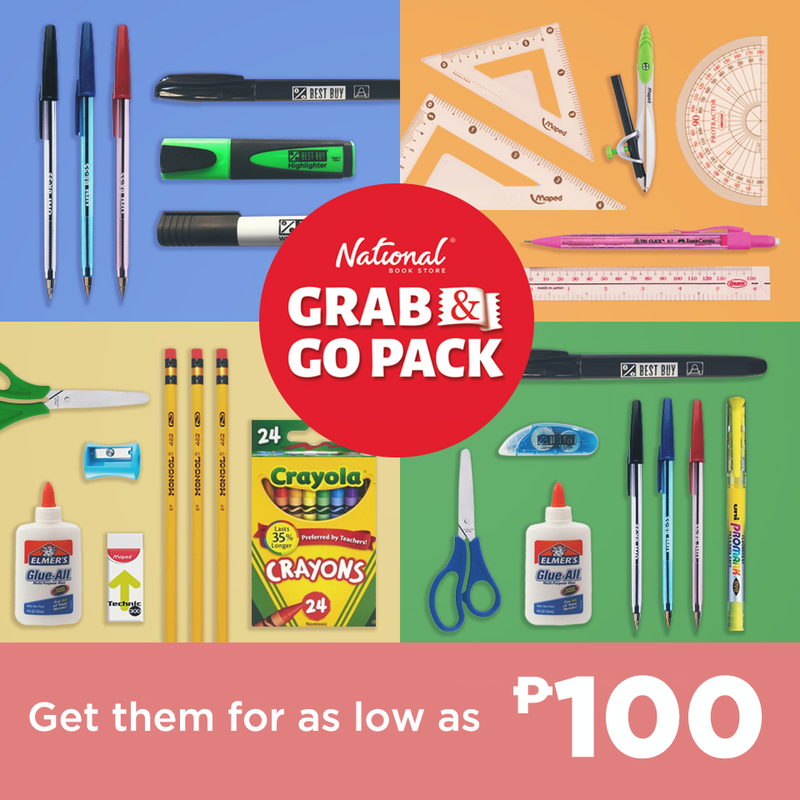 Grab & Go Pack for Grades 1 to 3 for as low as Php100. 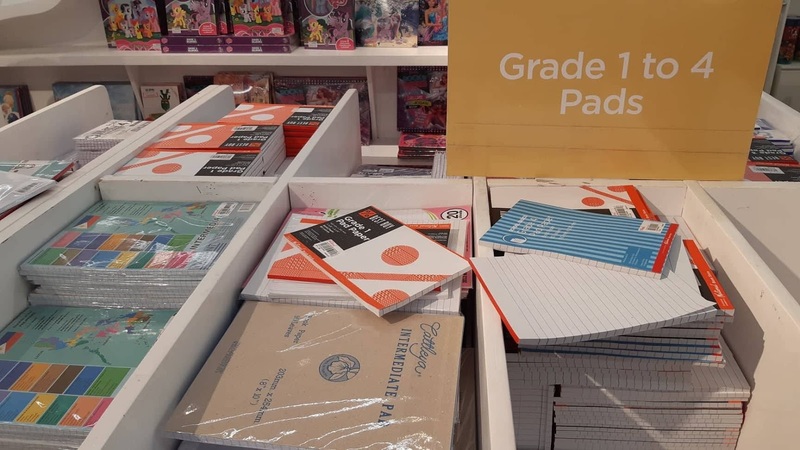 Writing Pads for Grades 1 - 4. At the back you'll find Best Buy High School pad paper set which I conveniently grabbed and bought for my teenager. A wide selection of pens, markers to choose from! 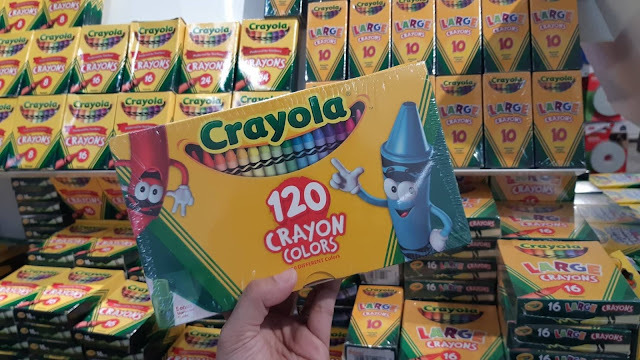 I can't get over this Crayola 120 Crayon Colors! But didn't buy because my artsy son already has A LOT of crayons old and new around the house. 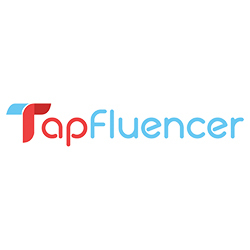 Travel bags or vanity kits for teenagers. 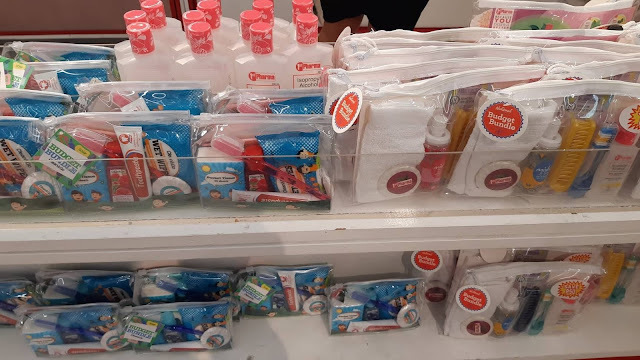 My varsity student son needs this for his hygiene kit every after his training. Pencil cases and back packs galore! 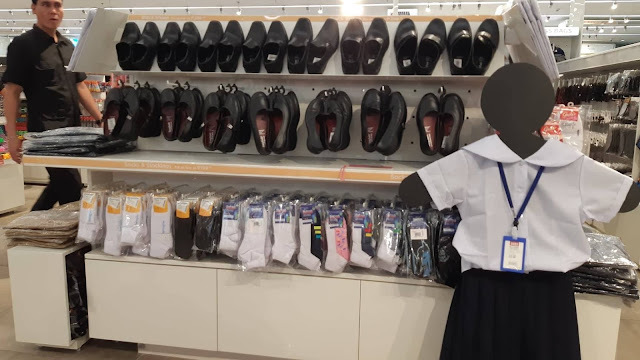 Surprised to see that they now have school uniforms, shoes, socks, hair accessories, and hygiene kits required by school for younger kids! Hygiene Kits which has: alcohol, wipes, tissue, toothbrush, toothpaste, comb/brush, and one has insect repellent patches too! Here's the back to school shopping scenario when I was completing my shopping check list at National Book Store. A lot of Filipino moms and dads trust National Book Store for complete back-to-school shopping experience. And why not? Everything you need for back to school is at National Book Store! Right? 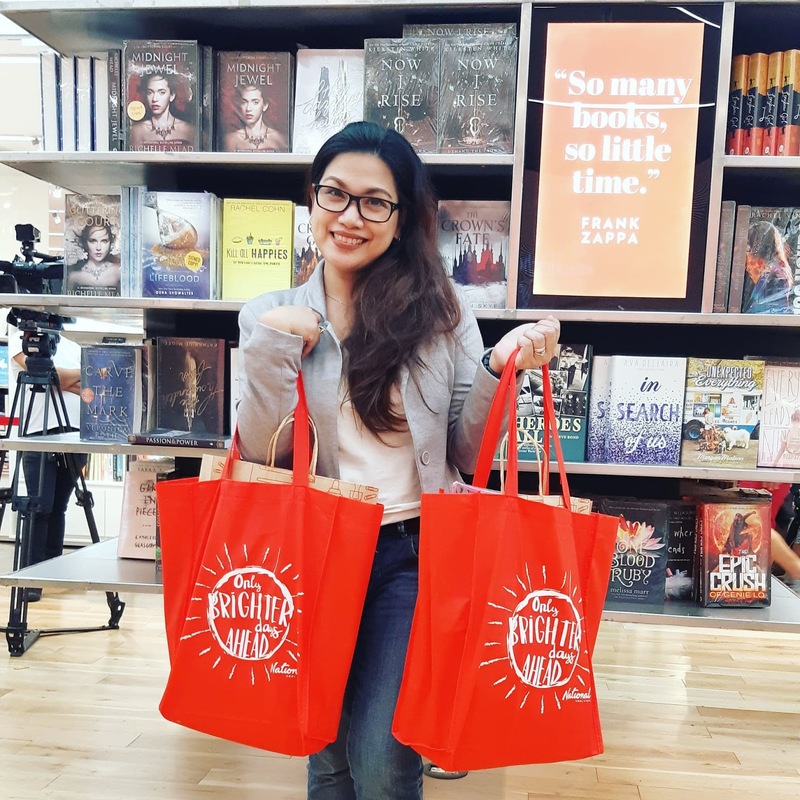 Get a FREE Tote Bag for every Php 1,000 spend at National Book Store. 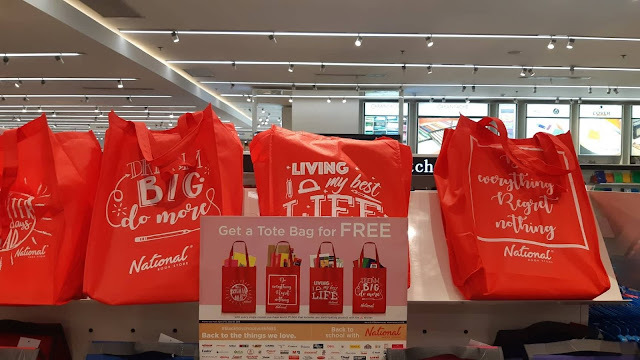 I love that they have this promo which is good for the environment, good for moms who carries something around every time she's out, and that it's reusable. 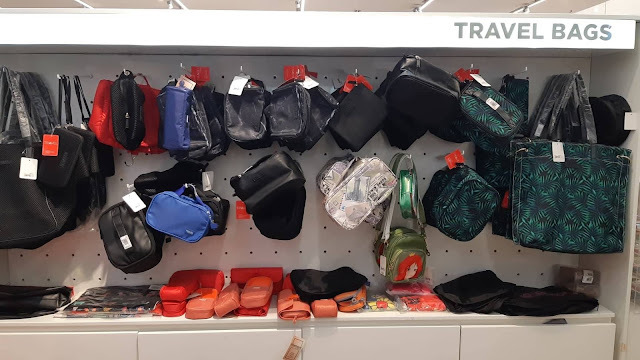 See those Drawstring Bags? They're only Php99 when you shop for P300 worth of items - including any participating product tagged with a National (N) sticker. There are 7 color combinations to choose from, and they're available in NBS branches nationwide. Get the Grab and Go Pack for as low as Php100. 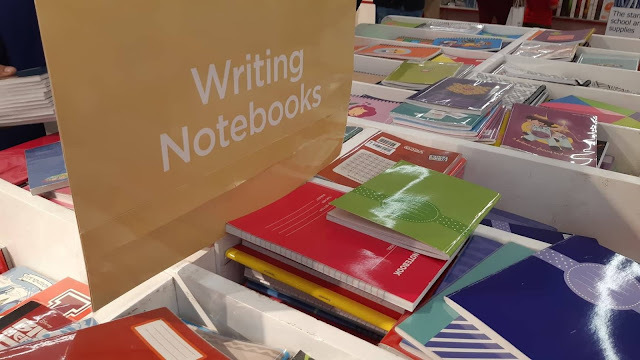 Choose from sets for Grades 1 to 3, Grades 4 to 6, writing, and drawing in NBS branches nationwide or you may also purchase it online. 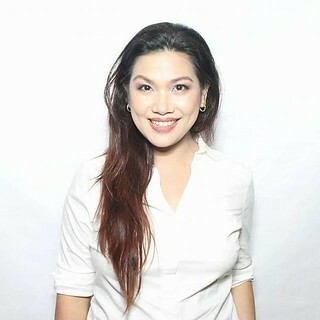 Also, upon checking out at the counter, you may want to donate to their Project Aral campaign. There are two kits available for purchase. 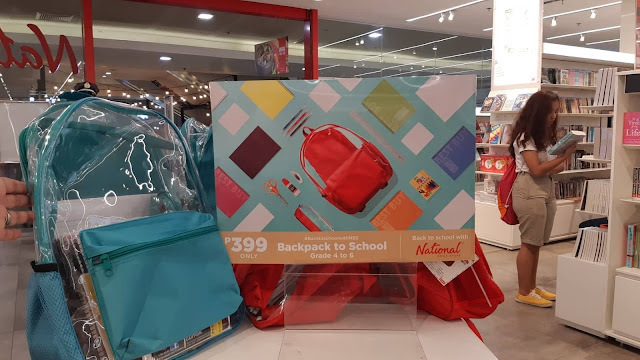 The P30 kit includes two notebooks, two pencils, an eraser, and sharpener, while the P60 kits include the same contents - plus a pair of slippers! 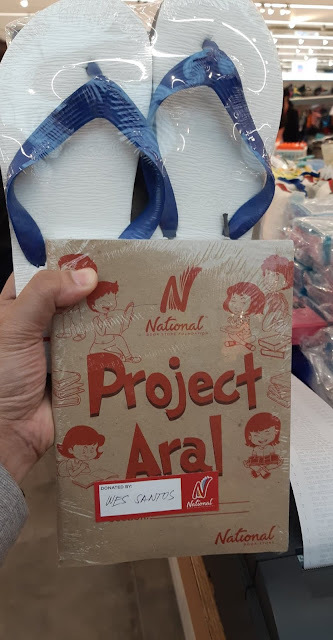 Project Aral Kits will be sent directly to National Book Store Foundation Office at 4th floor Quad Alpha Centrum Building, 125 Pioneer Street Mandaluyong City. For more information, follow their story using this hashtag #BackToSchoolwithNBS. Also follow them on Facebook: @nbsalert and Instagram: @nationalbookstore.